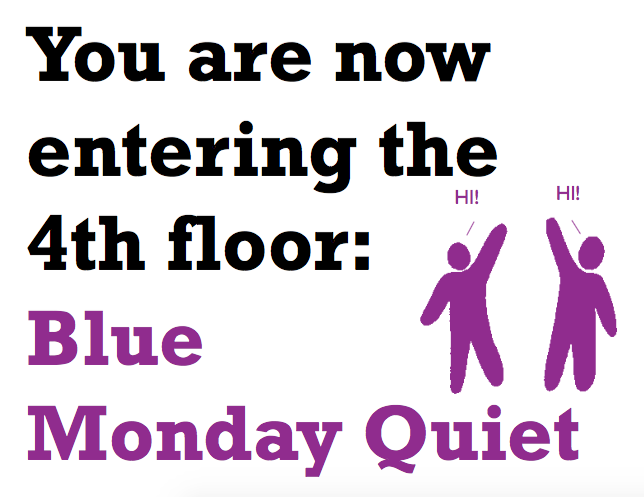 The 4th floor of the libe is known as "Blue Monday Quiet." Goodbye Blue Mondays is a coffeeshop in downtown Northfield. Most of the group work and discussions take place on this floor. 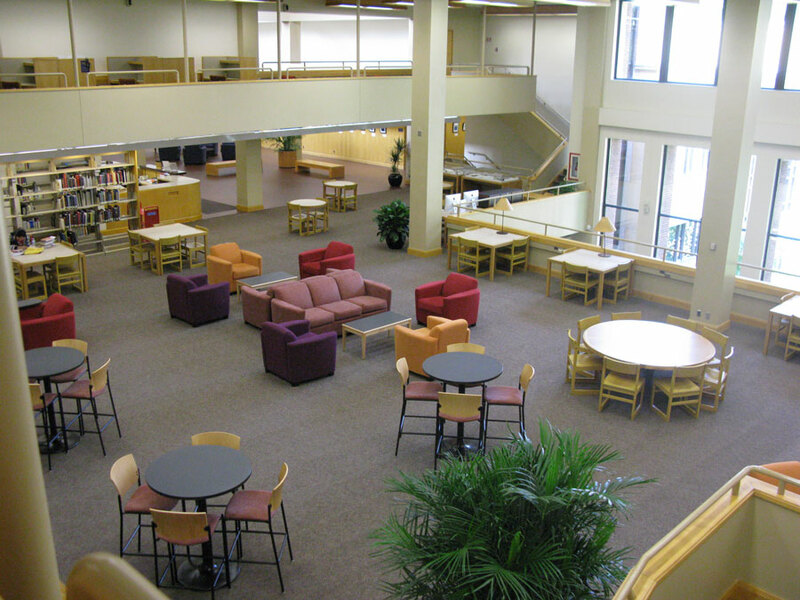 This area next to the reserves desk is a popular area to meet for group projects. During Reading Days, the library hosts "Bagel Break." Students line up in the lobby for the tasty bagels that await them as a reward for their studying. 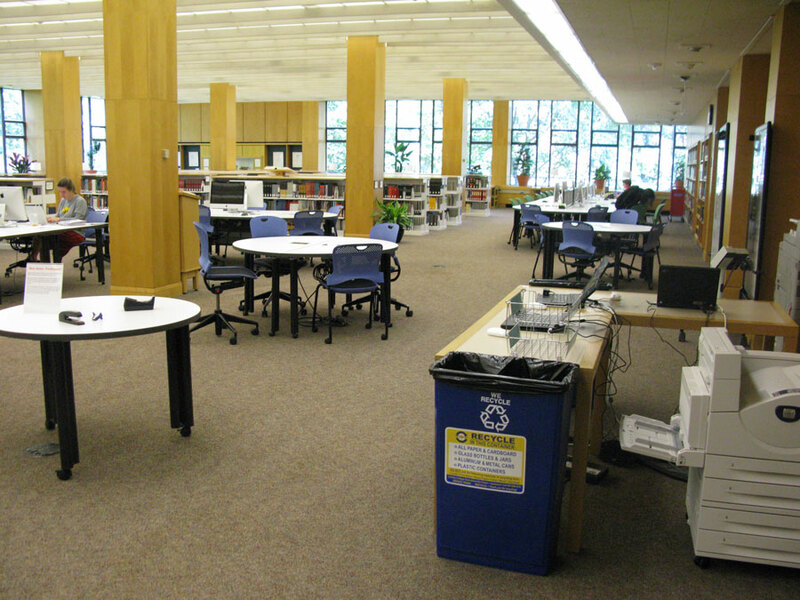 At the north end of the floor there is a computer lab with many more tables that are often used for studying and group projects.